Sometimes small things such as the use of different words has a major impact that was not anticipated. 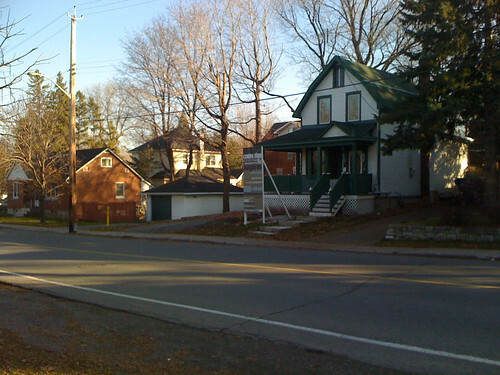 We discovered such a change when we saw the sign at 430 Byron Avenue for the Bungalows of Westboro. The developer told us they expected to build within the Zoning By-law. That’s when we discovered the small change in wording. In the 1998 Zoning By-law which has now been replaced by the City of Ottawa Zoning By-law 2008-250, triplexes were a permitted use. The zoning permitted a triplex per the following: “triplex house limited to a converted three unit house.” In other words an existing house could be converted to have three units but you could not build a triplex outright. 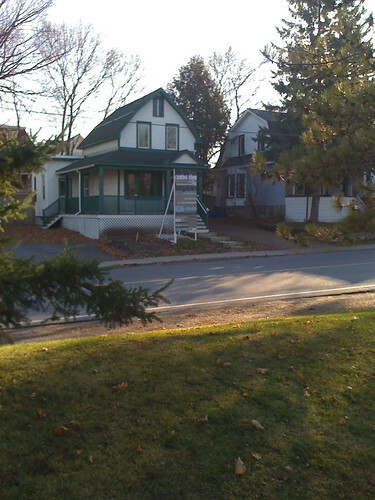 In the new by-law what is permitted is now defined as a “three-unit dwelling.” Sadly we missed this small change which now appears to have a major impact as one sees from the new definition: “Three-unit Dwelling means a residential use building originally constructed to contain three principal dwelling units divided horizontally.” NOTE that converted is no longer in the definition. The new by-law permits the building of a three unit on a lot size similar to that of a single detached home but to a height of 11 metres. A single or semi-detached home has a height limit of 8 metres in our community. Building these kind of “three units” on a residential street consisting of homes of 8 metres in height is not in keeping with the character of the neighbourhood. When there is no requirement for a site plan or minor variance we can only hope that City Staff will be vigilant during the building permit stage. 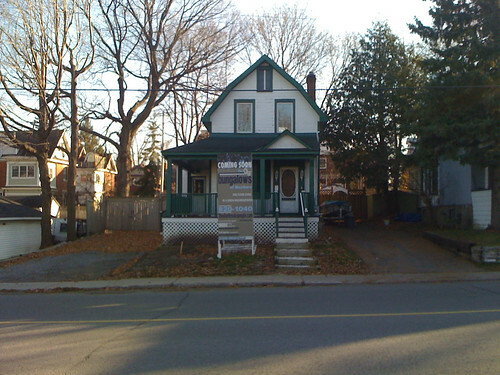 The Building Permit stage is sometimes the only time an infill project will be reviewed (it may be exempt from Site Plan Control By-law 2002-4 as amended; the Building Code and all other Zoning By-law provisions have been met; it is not a Designated Heritage Building or within a Heritage Conservation District under the Ontario Heritage Act and there is no requirement for a severance). At this stage all applicants will receive a copy of the design guidelines and will be encouraged to comply. As always, we’d love to hear your thoughts. Below are some views of the location of proposed development on Byron Avenue.